A second contribution to this week’s Photo Challenge, Symmetry (the first contribution was here). And, of course, Happy Valentine’s Day! 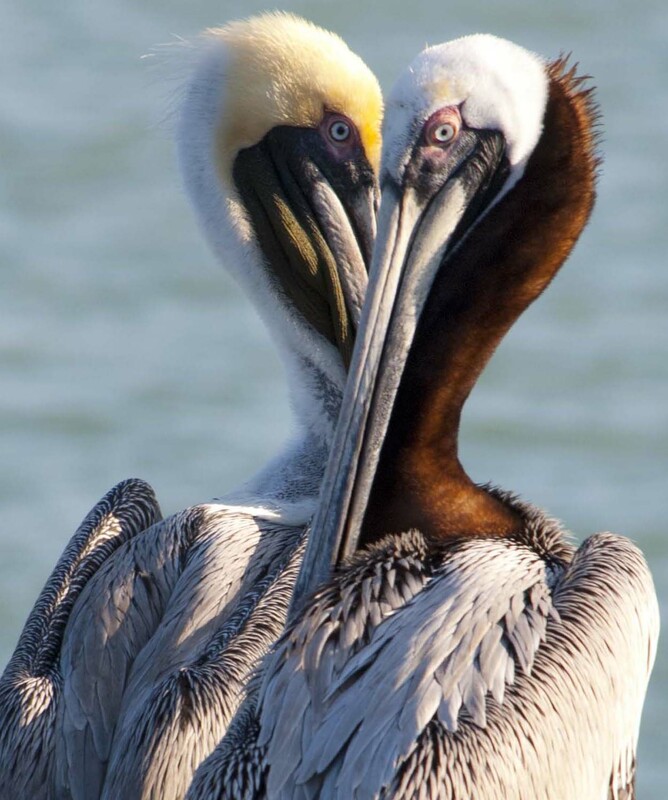 This entry was posted in Nature, Photography and tagged Birds, Pelicans, Photography, postaweek, postaweek2015, Symmetry, Valentine's Day, Weekly Photo Challenge. Bookmark the permalink. Thank you, Dina! It’s going very well indeed… and right back atcha! Wonderful! Happy Valentine’s Day to you too! That is a perfect image … and not just because those big birds form a heart! They were performing for the camera—and they knew how! (P.S.) Just the opposite, in fact. They were performing for the camera, as they had done for thousands a tourists, probably. They were well trained :-) So I was able to get quite a few shots of them over half an hour or so…. It’s fascinating that a wild animal or bird can be taught to do something like this. I hope to get a photo like yours one day. Brilliant capture for this week’s theme! How perfect is this?! Happy Valentine’s Day Johna and Vlad! So glad you still like it, after so many exposures of it… Thanks, Jane!! :-) So happy you do! Perfect post for symmetry and Valentine’s Day. Love it! Beautiful! Beautiful! Beautiful! Photos extraordinaire! Keep ’em coming. The perfect shot never gets old!